We got Red Dot Award! • Poznań Marmite S.A.
We are very proud of the fact that our Silvia bathtub has been awarded for the third time this year. 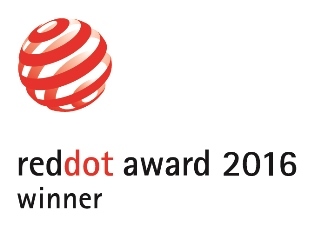 After receiving the prestigious iF Design and Top Design we have been the winner of the Red Dot Award which is the most recognizable award in the world. What convinced the international jury to Silvia was the fact that it had been inspired by the first known terracotta bathtub formed approx. 1700 BC and-found in the palace of Knossos on Crete, whose distinctive shape fits perfectly into modern interiors. “Red dot award” is the most important design competition in the world. The prize has been awarded since 1955 by the Design Zentrum Nordrhein Westfalen for products that impress with their ambitious and innovative design. The jury evaluates them in terms of the of innovation, functionality, quality, ergonomics and environmental friendliness.